Reece Bellotti will face Dai Davies in an eliminator for the British Featherweight title at York Hall, Bethnal Green in the first of Matchroom Boxing’s NXTGEN series on Friday March 17 – live on Sky Sports Facebook and Sky Sports 1. Bellotti moved to 8-0 with the most impressive win of his promising career so far in November when he stopped Ian Bailey after eight rounds of his first ten round contest, a seventh win inside the distance for the Watford man living up to his ‘Bomber’ nickname. The 26 year old tops the bill in east London looking to close in on a challenge for the Lord Lonsdale belt but must get the better of experienced Welshman Davies first. The 33 year old former Welsh Area champion promises to provided stiff examination of Bellotti’s talent having won both his fights in 2016 – the latter being his 40th fight of a 12 year career. Some of Matchroom’s brightest young stars are in action on the night as Craig ‘Spider’ Richards tastes title action for the first time in his career as he challenges Southern Area Super-Middleweight champion Alan Higgins – a first defence for Higgins and a battle of two unbeaten Londoners. Isaac Chamberlain returns to action at the scene of his fantastic Southern Area Cruiserweight title win over Wadi Camacho in September, where Chamberlain prevailed on points having dislocated his shoulder, and there’s also action on the bill for Ben Hall, Felix Cash, Jake Ball, Mickey O’Rourke and Danny Dignum. 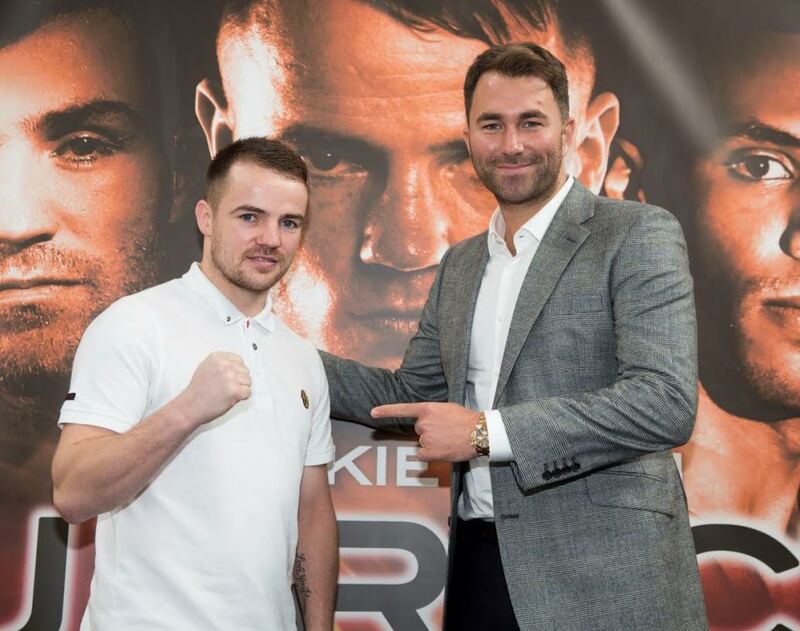 “As our stable increases so does the demand for boxing content and the #NXTGEN shows will allow our young fighters to box deep and headline their own shows as they progress to major titles,” said promoter Eddie Hearn. “Our first date at York Hall will create an electric atmosphere as two-time ABA champion looks to go 9-0 as a pro and set up a shot at the British featherweight title. Our unbeaten rising Super-Middleweight star Craig Richards battles for his first title in an all-London clash with Southern Area champion Alan Higgins (12-0).